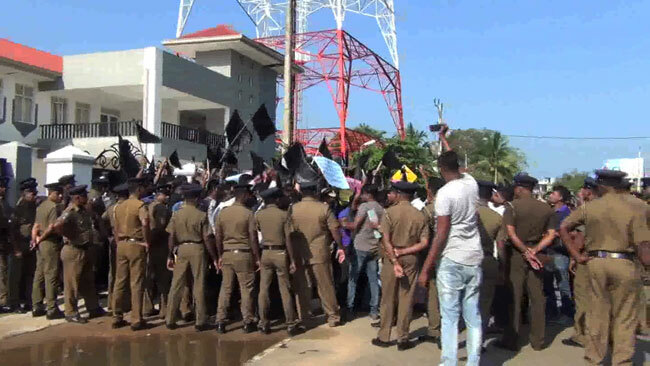 Riot Police on Friday resorted to baton-charge to disperse protesters demonstrating in Puttalam against the proposed sanitary landfill site in Aruwakkalu. The protesters had demanded an opportunity to meet with President Maithripala Sirisena, who is reportedly visiting the Puttalam area today, and had engaged in the demonstration since early this morning (22). A large number of protesters gad gathered along Sewa Mawatha in Puttalam to protest against the proposed garbage dump while police had closed off the road. They had sought a discussion with the President on the landfill site to be built at Aruwakkalu. 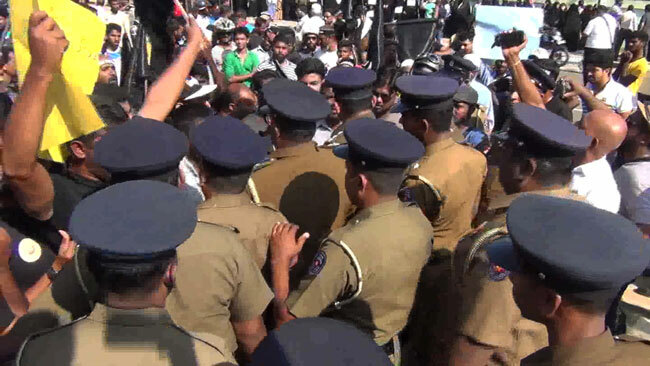 Riot police baton charged the protesters following a tense situation during the protest, Ada Derana reporter said.